NOTE: Since writing this blog entry I’ve experimented with mixing Titebond II Fluorescent with plain Titebond II and found that it still glows quite brightly under UV light. Since the fluorescent product costs more I now mix it 50/50 with regular Titebond II. I’m sure that readers of this blog have thought hey, that’s cool that hide glue fluoresces, but I don’t use hide glue. So what’s in it for me? Well, who knew that Franklin made a Titebond glue with fluorescent dye added? I sure didn’t. But they do! 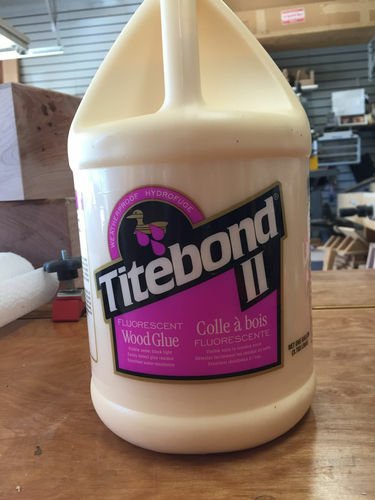 It’s Franklin 2316 Titebond Fluorescent Glue. 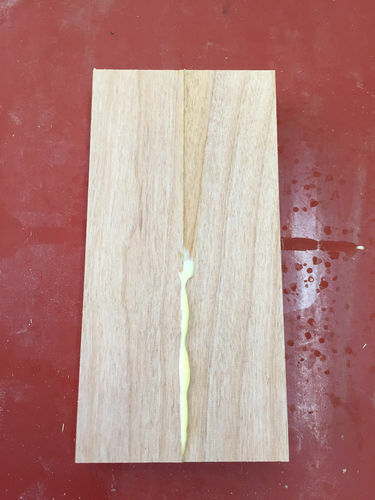 I’ve read countless articles about glue residue and how to expose it. Conventional wisdom is to dampen it with warm water and the color will change. I’ve used that technique and it works to a degree. I’ve still had occasions where I was fooled and glue residue reared its ugly head. 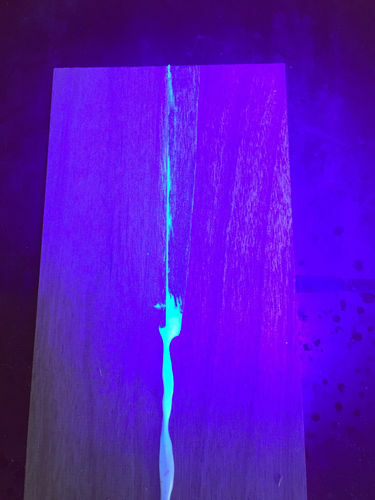 With this Titebond II glue with fluorescing dye, you can see the glue residue using a $10 UV flashlight. Honestly, in a typical situation, I’d miss that glue residue. But using Titebond II fluorescent with a UV flashlight exposes it. Huh..never would have thought about getting glue that glows in UV. Makes a lot of sense considering the amount of work it takes to sand out a missed glue mark after the first coat of finish goes on. Might have to look into that when the current glue bottle runs out. I’ll also be looking for a UV flashlight next time I’m on Amazon.. Glue sure does show up good under the light. Does it make a difference if the glue is wet or dry? Interesting, I ve never seen that before. Yeah, I’m always getting the pages of my Fine Woodworking magazine stuck together. 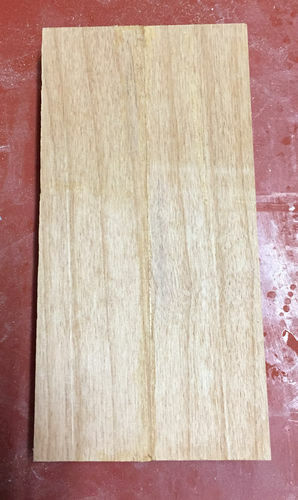 The last two photos show the backside where it was laying on the mat. That’s completely dried glue and it lights up pretty brightly. The ordinary light shot in the first photo was intended to show that it looks just like Titebond. 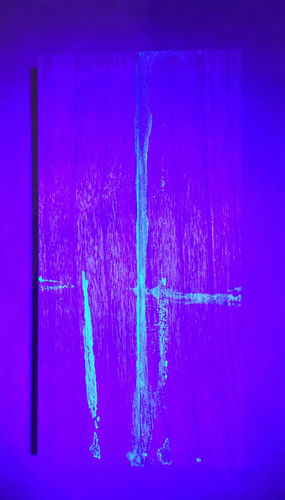 I honestly can’t recall if the UV photo was taken when the glue was still wet, or after it dried. But to answer your question, yes it glows brightly even after it dries.